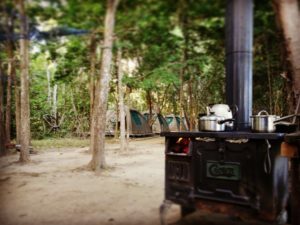 Welcome to Melanie Camp, a unique and beautiful wilderness camp set amongst the rainforest on Silver Plains Station on the east coast of Central Cape York. 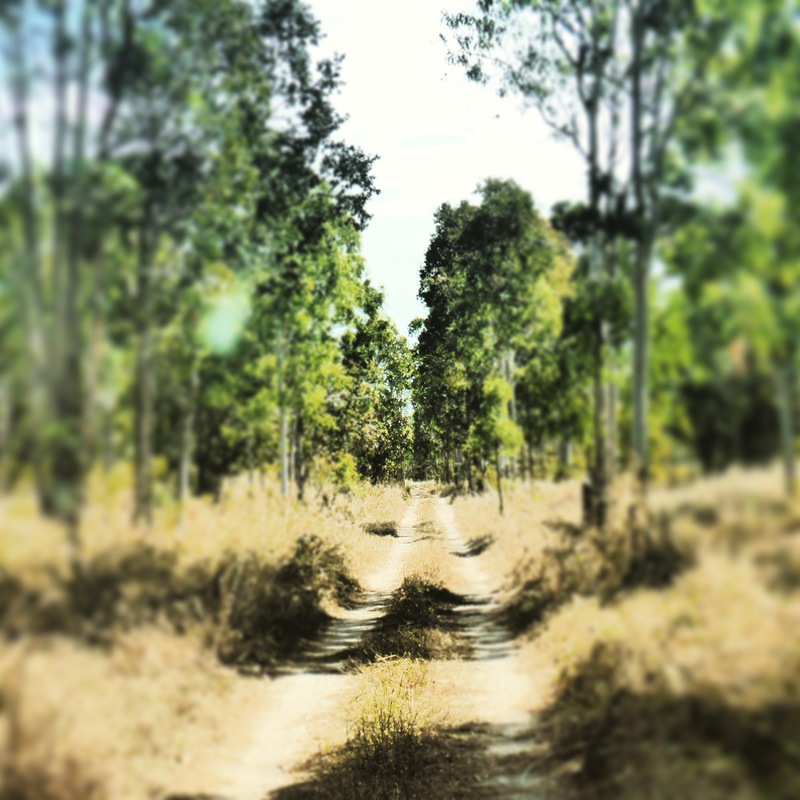 Perfect for a secluded long weekend getaway or to get off the beaten track on your way to the Tip of Cape York! 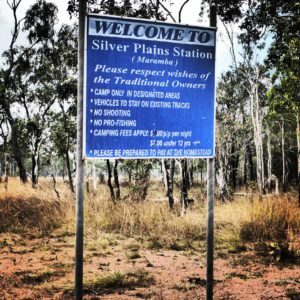 Silver Plains Station is an historical homestead 580km north of Cairns and 51 km north east of Musgrave via Port Stewart Road or 320km south of Weipa via the Great Northern Road at Coen. The station borders the Great Barrier Reef Marine Park and Princess Charlotte Bay fish habitat area. 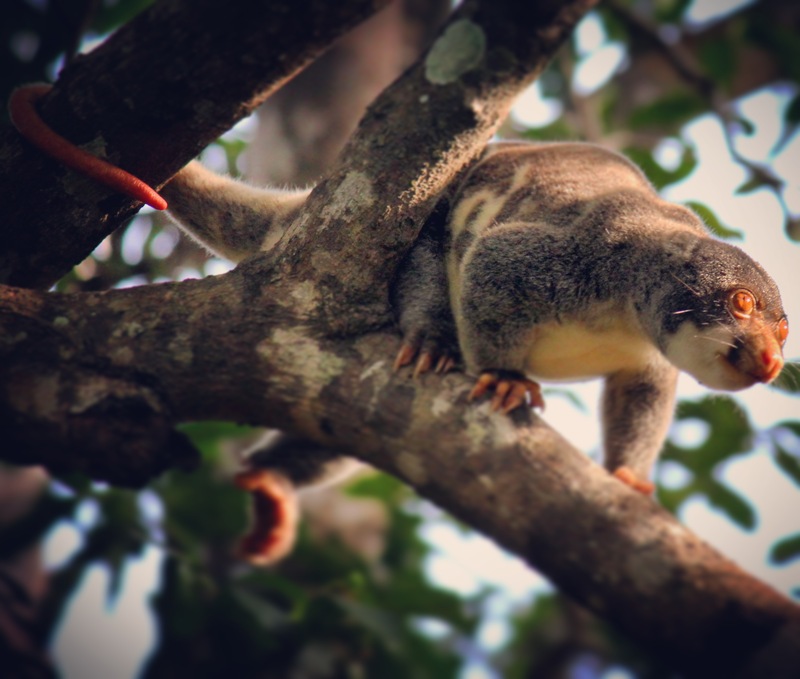 It has diverse and contrasting landscapes from tidal mangrove lined beaches, salt flats, mountains and rainforest, wetlands and savannah. 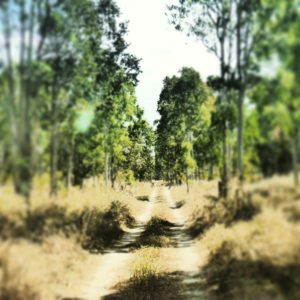 Driving in from Coen or Musgrave will take you through most of this landscape in a short time and the area around Melanie Camp is teeming with life. Melanie Camp is positioned right on the banks of the pristine Massey Creek which begins 700m above sea level at the top of the McIlraith Range, flows peacefully past the camp and empties into the Northern end of Princess Charlotte Bay 6km away. 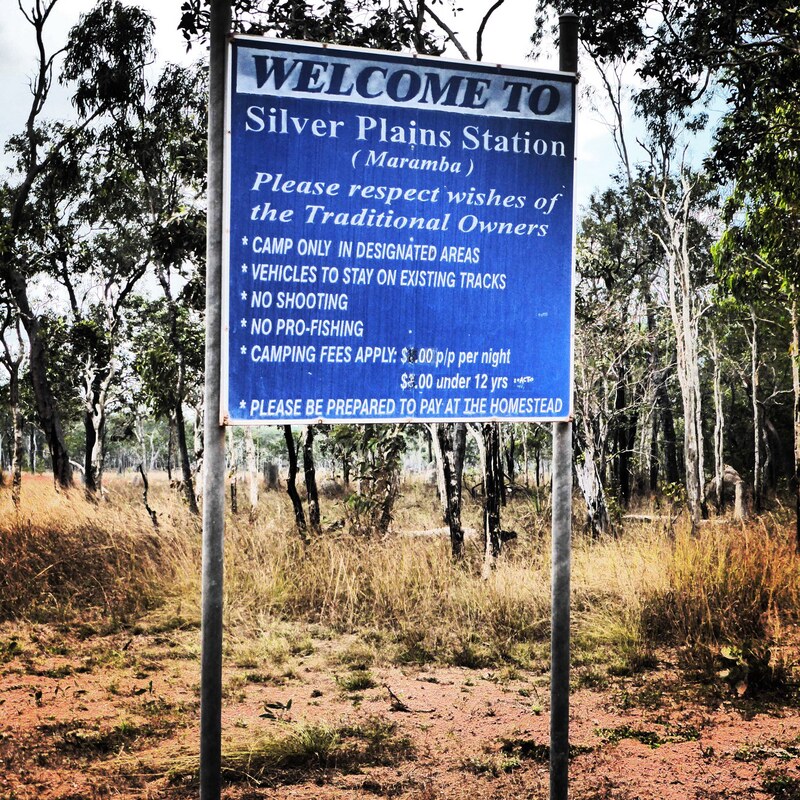 Silver Plains is well known to fishermen, wildlife and bird enthusiasts and the surrounding rainforest of the Massey and nearby swamps and waterholes brings hundreds of bird species and unique animals such as the Cus Cus, dingoes, crocodiles and wild brumbies. 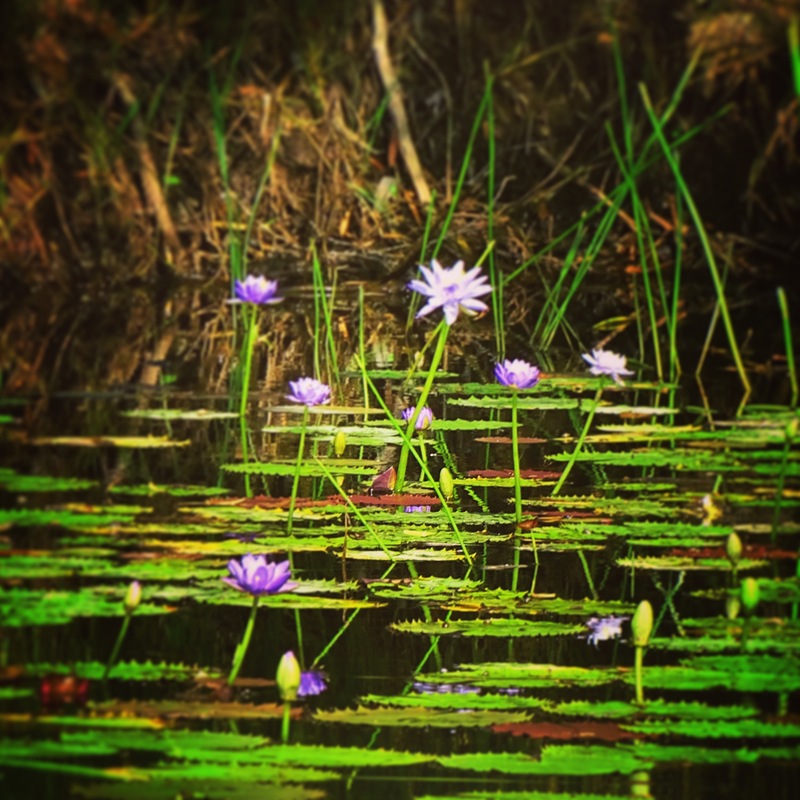 Only 6km from the mangrove lined coast of Princess Charlotte Bay, Massey Creek is also home to many of the estuarine fish species that makes east coast fishing so fabulous including Barramundi, Mangrove Jack, Trevally, Queenfish and the list goes on. 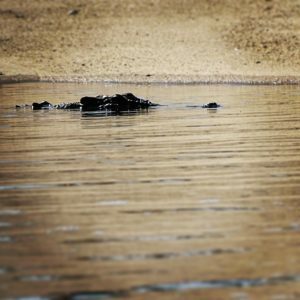 A night time walk upstream from the camp amongst the rock bars will allow you to see baby barramundi, giant eels, cherabin (giant freshwater prawns), perch and many other underwater critters. Melanie Camp is by no means a luxury five-star resort and we cater to guests who want an authentic bush experience with a few comforts of home such as a comfortable bed, great food and clean hot showers. Accommodation is for up to 8 couples in Safari style tents with elevated decks right on the bank of the river. 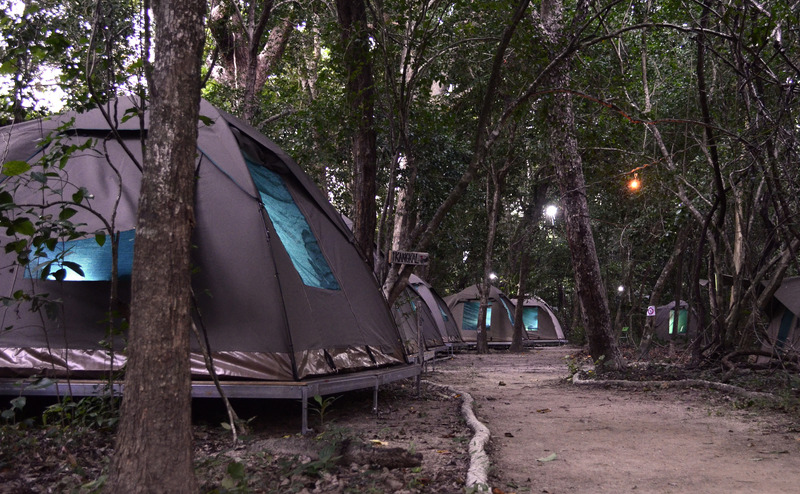 Each tent has one or two very comfortable latex topped stretchers with hotel quality linen and pillows. 12-volt power supplies, simple interior lighting and a fan for the warmer months and our guests enjoy drifting off to sleep with the sound of the water going by. 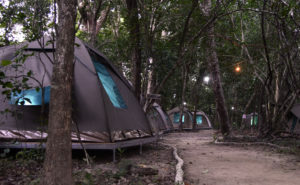 Tents do not have ensuites but to make your camping experience more comfortable, a wood-fired hot water system (donkey) supplies clean fresh water for a hot shower and there is a separate flushing toilet. The bath amenities are clean and basic for an authentic bush camp experience. A washing machine is also available for guest use if needed. The camp kitchen revolves around a vintage wood-fired stove and our camp cook is renowned by our guests from all over the world and many travellers to the area. Meal times are casual and relaxed and we welcome our guests to make themselves at home in the camp and kitchen. Generator powers fridges and freezers and we have cold storage for beverages. Melanie Camp is unlicensed but we have cold storage and guests are welcome to bring their own drinks. Due to the remoteness of the camp, any special needs must be advised in advance and we will do whatever we can to accommodate. Nightly rates include your own camp cook, all meals and drinks (alcohol is not supplied) and a daily fee to permit access to the Silver Plains Lama Lama area. 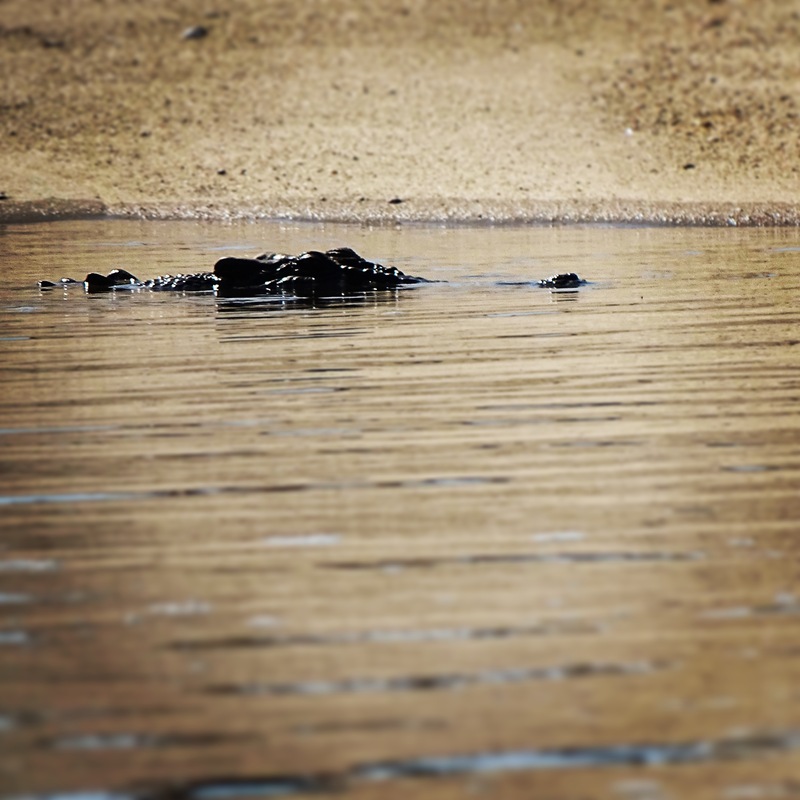 Melanie Camp is open during the dry season from approx June to November. The best time to visit depends on what you would most like to experience. After a big wet, June is when the area is green and lush and waterholes and rivers are running high. July and August weather is cosy for snuggling up at night around the campfire, crystal clear night skies and millions of stars and mild days for walking and hiking. September and October bring the fish back into the warm waters and the birds return from their northern migration. November is the climax of the season along with sunny days and warm nights under the fan. 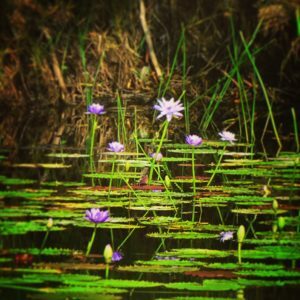 There is much to see and do by walking or driving around Silver Plains and included in the nightly rate is the permit fees for access to the recreational areas. Getting to the great fishing and beaches is by boat or helicopter and the most popular way of course is with Bungie Helicopters from Cooktown or Port Douglas. Melanie camp is proudly operated by Bungie Helicopters in partnership with the Yintjingga Aboriginal Corporation. Contact us at info@bungiehelicopters.com.au or phone 0409 325 442 for bookings and enquiries and further details on our heli-fishing and wildlife adventures at Melanie Camp.